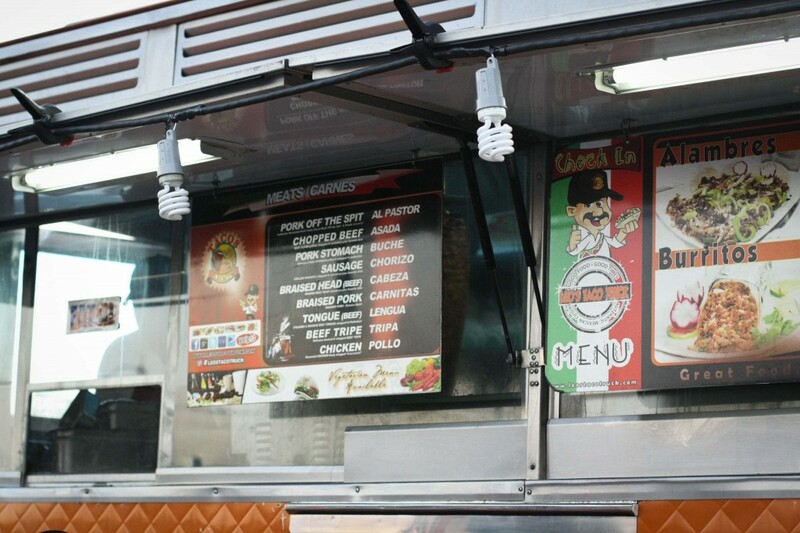 The third stop on our TACO CRAWL is the famous Leo’s Taco Truck, parked in a lot at the corner of Venice and La Brea. 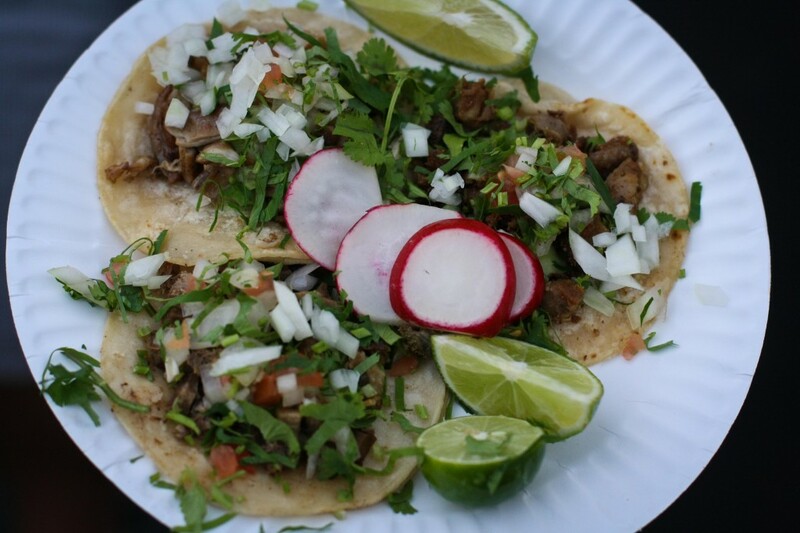 They’re known for Al Pastor and their tacos are only a buck! 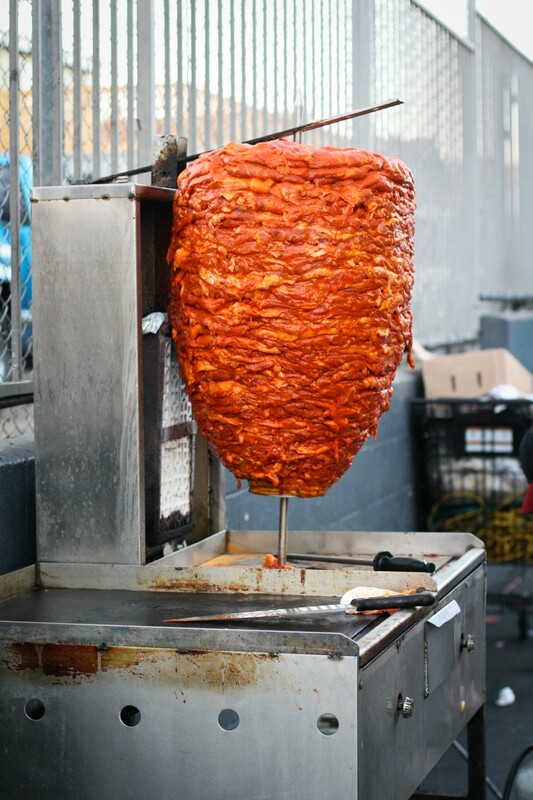 Here’s a little backstory on Al Pastor, in case you were wondering what the hell it is. 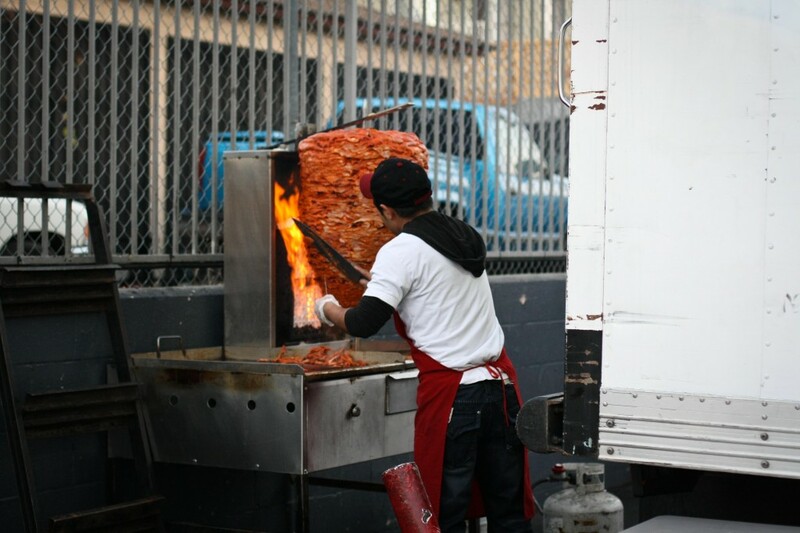 When Lebanese immigrants came to Mexico, they brought the spit-grilled schwarmas with them. This was adopted a bit and the pork (instead of lamb) is marinated in dried chiles, spices and pineapple but using the same spit roast technique. 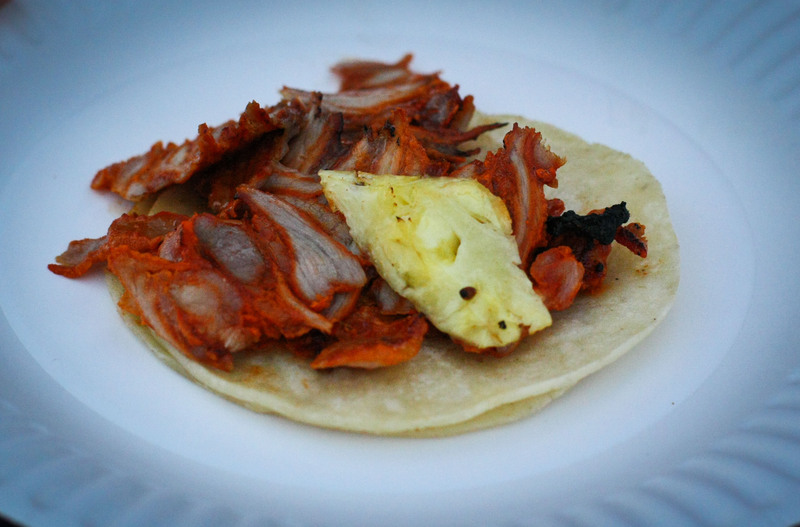 The result is super juicy, super flavorful pork served in a small tortilla with a cube of pineapple. 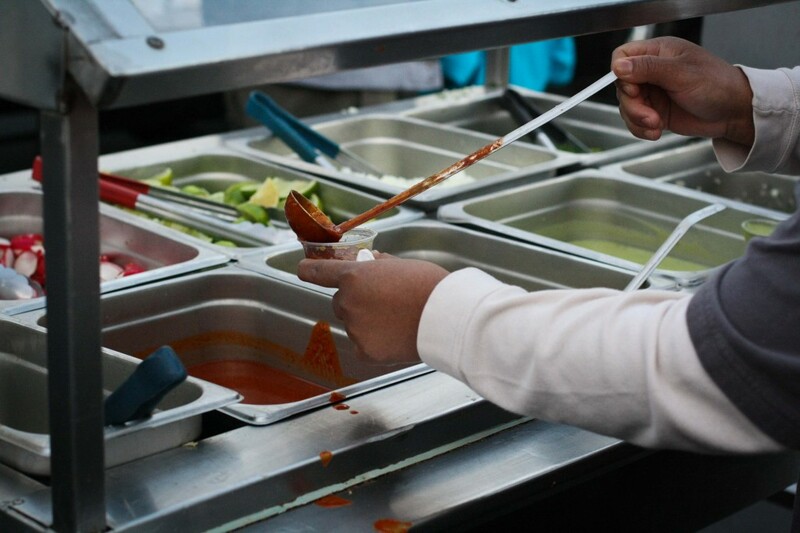 You then take your taco to the salsa bar and dress it up in something fancy. Every kind of salsa or topping is there, don’t you fret. 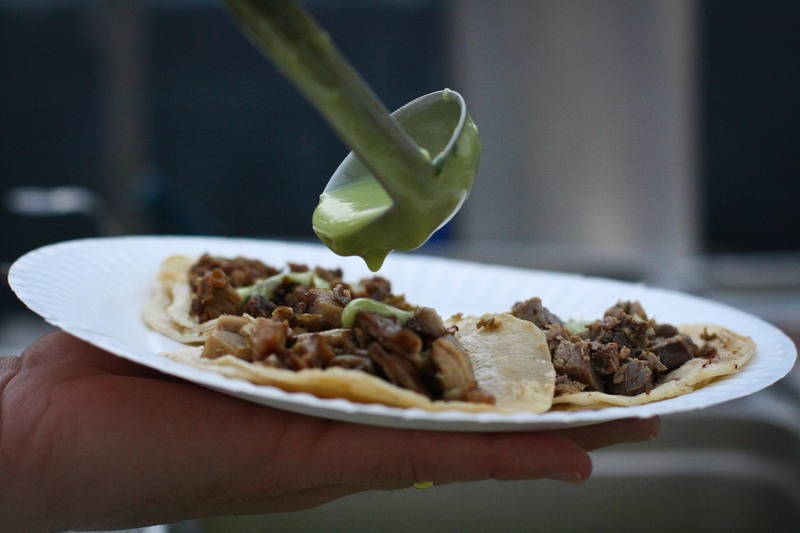 What I liked even more than the tacos were the amazing Mulitas! 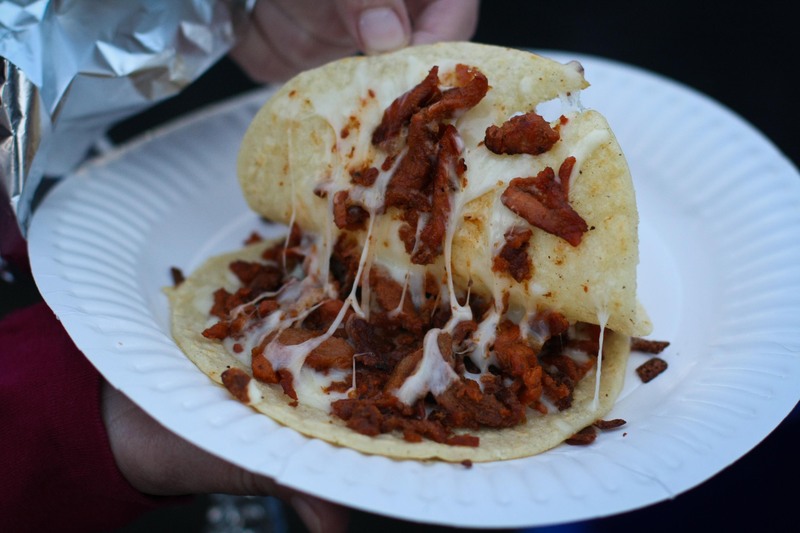 Mulitas are essentially quesadillas using corn tortillas instead of flour. 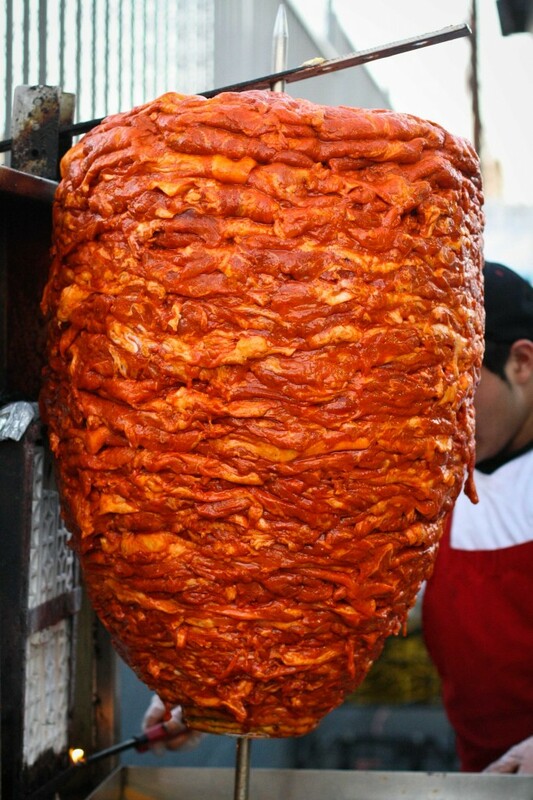 I had carne asada totday, which was quite recommended but I bet the Al Pastor would also be great crammed into the mix. I had heard Leo’s only opened up at night but it appears that on weekends they’re open during the day as well. 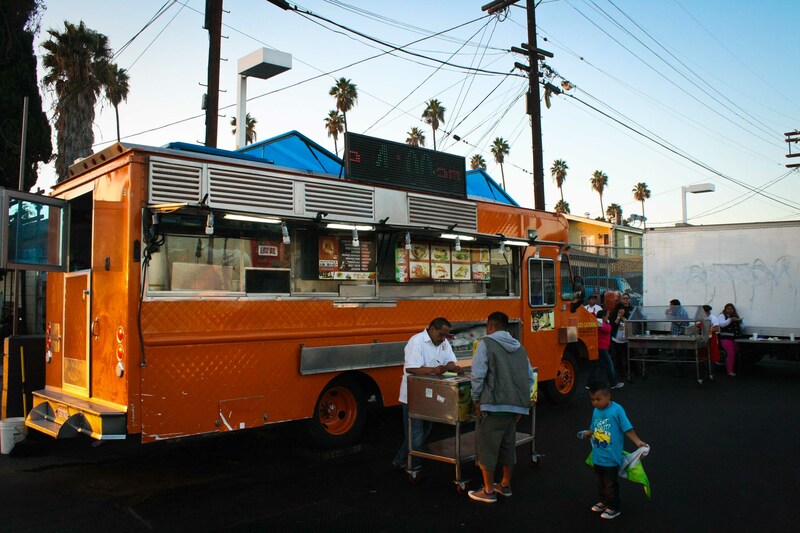 Come check them out if you ever dare call yourself a local. A closer look at the porky madness.